Make a style statement with one of Heritage's Limited Edition collections, inspired by the latest interior trends and for those wanting something a little different. Featuring gold etched lace inlays and a smooth, curved body, the Lymington range is beautifully styled and will bring elegance into any bathroom. 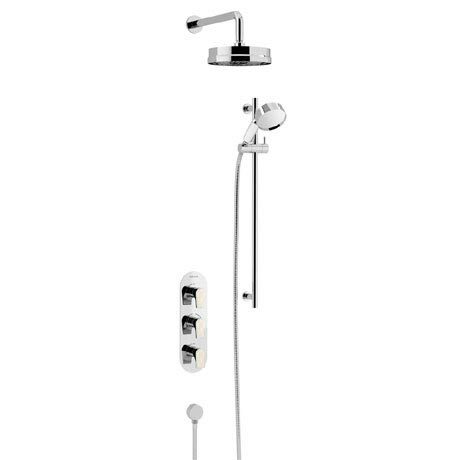 This complete shower comprises of a recessed shower valve shower arm, 8" shower rose, riser rail, handset holder, 4" single mode handset, shower hose, and wall outlet.